As such, there are probably a number of photographs AYR folks have taken that show off the wonders of our wild places and not-so-wild suburban areas, which are nonetheless, inhabited by many fascinating creatures. Rather than these photos going un-loved on your SD cards, phones or computers, by all means, hit us with your best shot and share them here if you've a mind to. 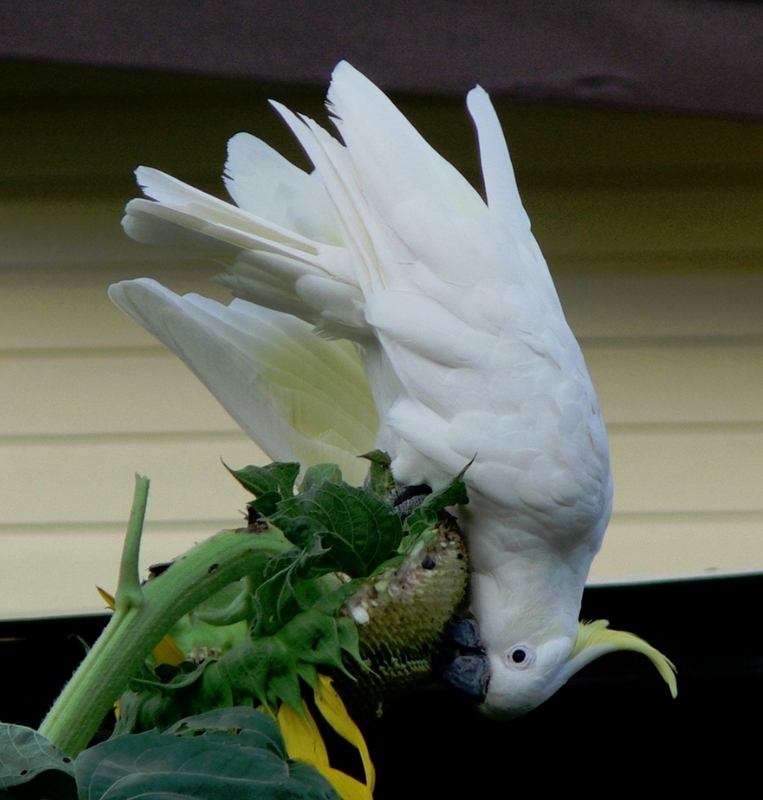 Feral (ex domestic, had a leg band on) Sulphur Crested Cockatoo, Hemmant, QLD, feeding on my darn sunflowers! Gotta love that colour, they can be viscious to each other. Saw these same lorikeets in Melbourne, thought they were only in warmer climes. A Grey Goshawk taken from my balcony overlooking the Lane Cove River in northern Sydney last December. Apparently a very infrequent visitor and I just happened to be there with my camera at the right time. It didn't stay long. Second image should appear right way up when clicked, if not then apologies. Weve had some larger type of those in Tuckeroos pics up in Qld from Nsw ive heard but havent seen one yet. Great pics Tuckeroo. What a delightful thread! That's impressive Greg, never seen one of those in the wild. Thought myself lucky enough to get this close to mum (or dad) and her cygnets. 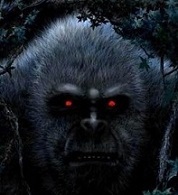 keeping one eye him as I hang out the togs. the width of the ankles. Shame I didn't get the long sharp feet in the pic. happy to graze on her own, the male is only there for one reason. like their half the size of the mother. Doing a quick look up looks like its a Eastern Yellow Robin. 1. Apostlebird (Struthidea cinerea) in the campground at Warrumbungle NP. 2. Brown Rock Skink (?) (Egernia saxatilis saxatilis) the Warrumbungle Mountains subspecies of the Black Rock Skink. I could be wrong. 3. Kangaroo at Warrumbungle NP. 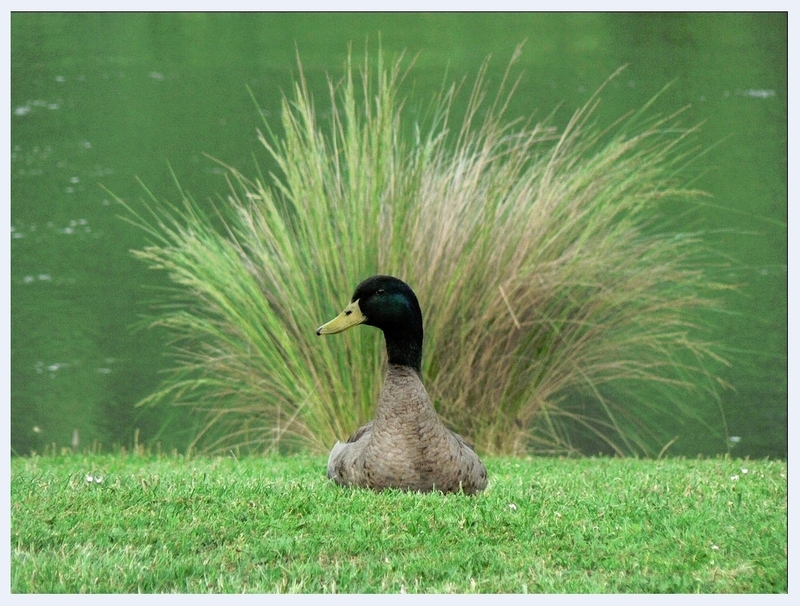 Mixed breed drake, Longford, Tassie 2006, my fave wildlife shot ever. This of course is the Common Yellow Plastic Fly Swatter. Yeah I’ve seen this species before Greg, we call it the blowey racquet. There’s a reason why their still around. Some good photo’s above ! What a great selection of pics!!! Do it.... haha, I love seeing everyone's pics! 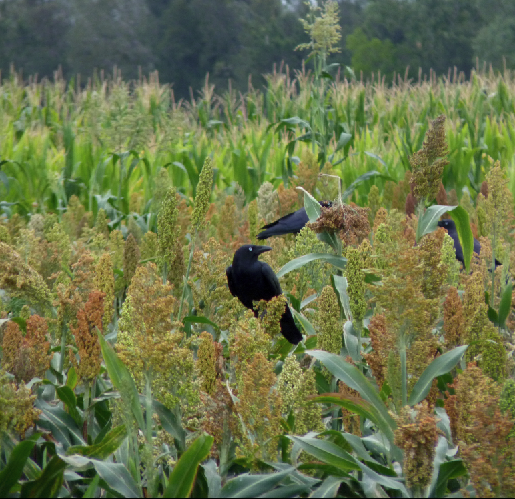 Here's another for you nature lovers out there... Torresian crows (our native fellas) don't mind stripping the juicy sorghum off the heads of the plants, they have a pretty varied diet. Normally they bail as soon as they spot you, but this one and his mate kept on gorging themselves! I dont know what this is. Bat or bird? What part of Australia did you capture this from? 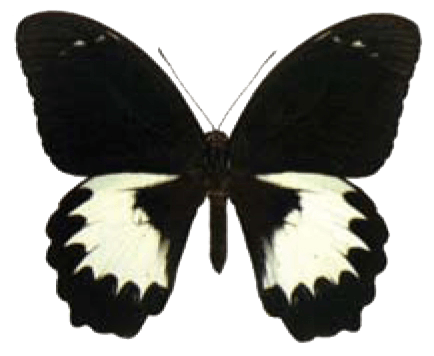 Note the large rear wing white patches, which are very similar to what is seen in your video capture. I think thats what it is Shazz. The butterfly would explain the odd movement. It's from Mt Cootha. Cleaning up phone for storage and thought id post it. Thanks! These are great! The Blue Banded Bee one in particular! Good stuff! Wow great photos there Doorway. Never been able to get a decent shot of the fairy wrens. Love the bee too! Great shots by everyone really. I need to get a camera! Hahaha, nice work, and totally different! That last one looks like it's holding a light sabre, LOL. Nice one Greg. The top one looks like a lizard sneakin a peek.